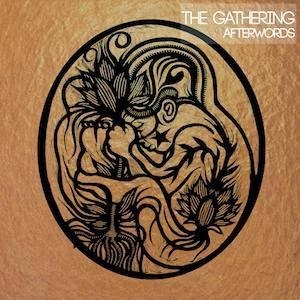 The Dutch trip-rockers The Gathering need no further introduction. In the very interesting interview that follows, Frank Boeijen talks, among others, about “Highlander”, the departure of their previous singer Anneke and their career’s landmark album “How To Measure A Planet”.Here is the interview for subexistance. Tell us the most recent news regarding the band?We are now currently working very hard to finish quite a number of new songs. The plan is to release them in some form this spring (2011).The new songs are still in development but they sound very adventurous and is touching areas where we’ve never been before. What do you remember back to the days when you were watching “Highlander”? Which are the main differences between then and now?Haha, that is actually a long time ago! When we started the band in 1989 when I was 16 years old!! So yeah, you can say that there is a whole new world now if you compare it with those days. Nowadays there is of course the internet, so if I want to watch highlander, I just watch snippets on youtube. Back then, there was a friend’s friend who had the movie on VHS cassette. We just went over there and watch the movie together. Because of the internet, things have changed hugely, I think.. Also in the music industry, it’s much tougher now to start a band from scratch. There are so many bands, so many acts nowadays. In this modern technical age you can easily record and release your own music on the net, which makes it also very interesting as well. Everybody can have an artistic expression and share this with the audience with a few mouse clicks. It makes the amount of bands (or any other artistic discipline) really enormous but you are also able to listen (and not miss) al this great art. Do you still communicate with Anneke? In what way, if so, did her departure affect the rest of the band?No, we don’t have that much of contact any more. Furthermore, because she does not live in our town anymore (Nijmegen). Of course, it had some impact when she left, but we are all over that now. Also because it’s already some time ago. How was the experience of opening the live shows for bands like Samael, Morbid Angel and Death?Haha, again some time ago! J But what I do remember was that it was good! In general the American bands were (and still are!!) very hard workers! I remember the gigs as very friendly experiences. Trey Azagthoth later on became a huge fan of The Gathering (he liked the HTMAP album especially) Also the gigs with Samael were great! They are still really good! And we are still good friends with them nowadays. Pls characterize each album you have released with 3 adjectives. Which one, if you had to choose one, do you think has been the most vital for your career so far? Well, for our public career Mandylion was the most vital. We really reached a wider audience with that one. How was the recording experience of your most recent album “The West Pole”? Tell us also a few things about your new singer Silje Wergeland.We felt we had to come back with some urgency in our music. We really wanted it to sound fresh and new to let people hear that we are still there and that we are still very inspired to write new stuff. Silje fits in perfectly! She has a lot of feel for our atmosphere and she became also a very good friend. The fact that she is living in Norway doesn’t make it always easy, but it is worth all the hassle to have her in our band! Fed up by the music industry you established your own label Psychonaut Records. In the first place, why did you get fed up, and what does the future hold for the label?Well, I think it’s a misunderstanding to say that we are ‘fed up’ with the music industry. We (like every other band) actually need the music industry! The thing we got fed up with was the fact that we often were pigeonholed in I typical corner we didn’t feel that good. Especially some people at our former label (CM) tried to push us into a kind of direction which was far away from what we really were. Of course they did also a lot of good stuff for us like promoting and creating possibilities, but at some point we wanted to try things for ourselves. Your double album “How To Measure A Planet?” is still being considered by a lot of fans the milestone in your career. Do you share the same thoughts? Why do you think it’s being considered as your most significant moment?I have to agree that it is indeed one of our best and most successful albums (on an artistic perspective). We worked with a new producer Attie Bauw. He really had a total different view on things, which helped us a lot in songwriting and sounds. We (Attie included) were also into a lot of really good new albums those days (Radiohead’s OK Computer, Massive Attack’s Mezzanine, Portishead). All this new music had a great influence on us, and how we could express ourselves. All these resulted in a double album, which was looked up on really strange by a lot of people in the beginning. But later the album’s value was understood by a lot of people. Describe us a typical ‘Gathering day’, when the band is not on tour….Well, most of us are having other jobs as well. So it depends what you mean with typical. But when we are not playing, we mostly are working during daytime and rehearsing and recording stuff in our little studio at the evening/night. Which are your top-5 Dutch bands for the time being?Well there is a lot of new talent lately in NL! The bands I’m going to mention now are in a randomly order (don’t want to rate them, because each one has a unique quality). The Black Atlantic, De Staat, Moss, Lola Kite, Blaudzun. Which are your plans for 2011? Any chance visiting Greece?Like I said we are planning to release something new in spring. After that we try to tour quite some bit, and of course we hope to end up in Greece as well! Feel free to send a message to our readers.Well, I wish all the readers a happy and healthy new year with loads of new good music! Have a great time! Thank you.Thank u 2!!!! Was a pleasure!